Cardinal Apiaries is your source for delicious Certified Naturally Grown local raw honey in Stafford County, Virginia. We are a small, family owned homestead dedicated to supplying our friends and neighbors with the best local raw honey Stafford County has to offer. It appears that we are the only Certified Naturally Grown apiary in Stafford County, and there is only one certified apiary in the City of Fredericksburg. Our bees visit the blossoms all around us to collect nectar, which they turn into a wonderful amber wildflower honey. The smooth, rich flavor mirrors the natural diversity in Stafford County. Each harvest of honey has slightly different flavor notes because the bees collect nectar from different blooms and in different proportions from month to month and year to year. 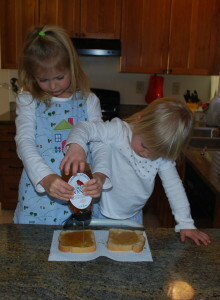 We would love to share some of Stafford County’s best wildflower honey with your family. Please visit our store or, if you live nearby, we’d love to see you at our roadside stand located at 15 Skyline Drive, Fredericksburg, VA 22406. The stand accepts cash and checks only. If you would like to receive an email notification when each year’s honey crop is ready for market, or have any other questions, please send us a note.